Nature strip trees and trees on building sites can be damaged by vehicles and diggers /bobcats during construction and demolition works. 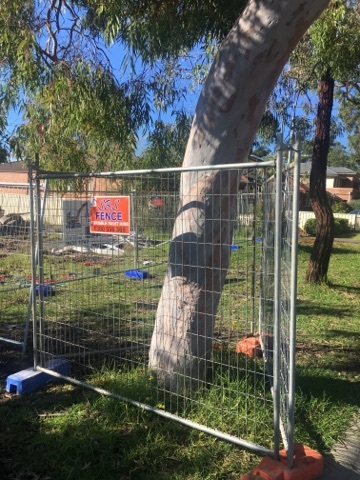 Trees can be protected by our temporary fencing systems, which usually consists of 3 or 4 temporary fencing panels to form a triangle or square protection zone around the tree and its roots. For larger, more mature trees, rectangles can be created by using a few more fence panels.